In the previous post, we have learned the graphical representation of domain and range. The domain of the function is the shadow or projection of the graph of to the x-axis (see the red segment in the figure below). The range of is the projection of the graph of to the y-axis (see the green segment in the figure below). In this post, we are going to learn how to analyze equations of functions and determine their domain and range without graphing. It is easy to see that , since and since . In the previous post, we have learned about the effects of a in the linear function with equation y = ax. In this post, we learn about the effects of adding b to that equation. That is, we want to learn the effects of b in the linear function with equation y = ax + b. 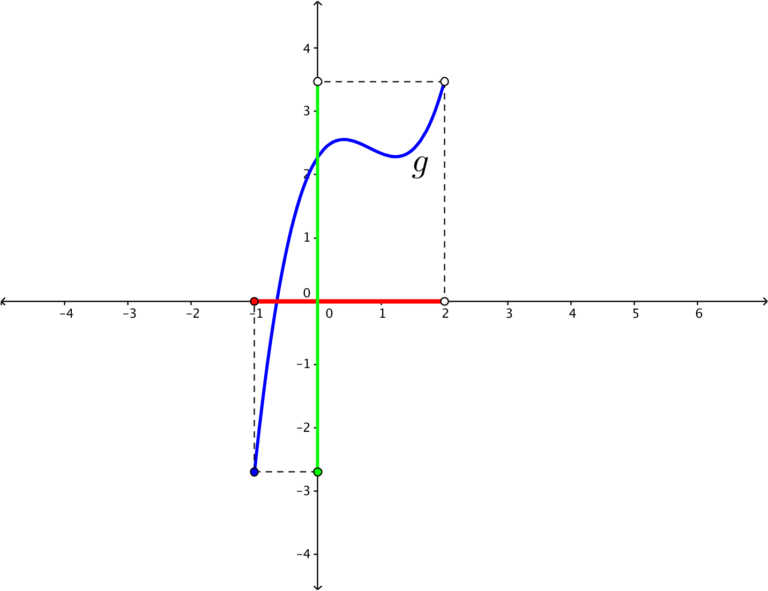 Consider the graph of the functions y = x, y = x + 2 and y = x – 3. The table of values (click figure to enlarge) below shows the corresponding y values of the three linear functions. The effect of adding 2 to the function y = x adds 2 to all the y values of y = x. This implies that in the graph, all the points with corresponding x values are moved 2 units above the graph of y = x. In addition, in the graph of y = x – 3, the -3 subtracts 3 from all the y values of y = x. In effect, all the points with corresponding x values are moved 3 units below the graph of y = x.